The Ada Lovelace Fellowship encourages women, LGBTA+, and/or other minorities in the open technology movement to both participate and nurture an incredible, diverse community within open source. For the fifth year running, we are ecstatic to offer TEN (10) Open Hardware Fellowships to members of the community. This includes travel assistance and entrance to the 2017 open Hardware Summit! We are at an exciting point in time for open source and hope to encourage everyone, no matter their walk in life, to embrace and participate in this incredible movement! Announcing the 2017 Open Hardware Summit! The Open Source Hardware Association, a 501(c)3 non-profit, is excited to announce the 2017 Open Hardware Summit taking place October 5th, 2017 in Denver, Colorado. This is the annual gathering of the OSHWA organization and open hardware community. Through the Open Hardware Summit, we aim to create an inclusive welcoming environment to empower people in all stages of discovering open source technology. The Open Hardware Summit is where anyone and everyone can participate and collaborate in the open source community! Don’t forget to check your email for your 10% discount if you have a general membership or above at OSHWA! At this time we are opening the call for companies or individuals interested in sponsoring this year’s summit. More information can be found here. For the fifth year running, we are ecstatic to offer up TEN (10) Open Hardware Fellowships to members of the community. This includes travel assistance and entrance to the 2017 open Hardware Summit! 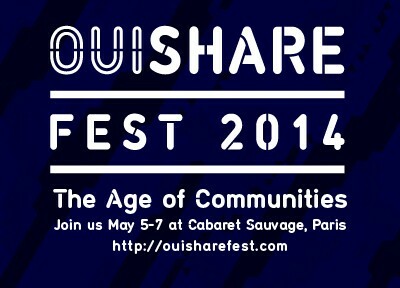 Later on this May, OSHWA will be leading a Session at the Upcoming OuiShare Fest in paris. OuiShare Fest is a conference about the collaborative economy that will feature sessions ranging from cooperatives to shared mobility, from p2p travel to collaborative finance, from Open Value Networks to Open Source Hardware and more. As I’m also being OuiShare Fest program fellow, I really thought this was an amazing opportunity to connect with the European community. Indeed OuiShare Fest has many amazing open source hardware projects featured such as Open Source Beehives, P2P Food Lab, OSVehicle and more. Addie and I will participate and co-moderate a session that will be dedicated to potential solutions to scale OSHWA impact and, in general, awareness on the Open Source Hardware topic in Europe. For this occasion, we are also releasing with you for the first version of the OSHWA BRANCHING CHAPTER: there you can find the vision and the duties when creating an OSHWA branch in your city or country. We basically require three members to kick off a branch that puts together some community engagement and education program. At the OuiShare Fest we will likely announce the formation of the first three or more new European branches (Italy, The Netherlands, Germany, Spain and France are already working on it) so we really look forward to get your feedback and see if we can finally be able to announce more, or just put you in touch with the upcoming branch leaders. So if you’re interested to evaluate and eventually kickoff an official Open Source Hardware Association branch in your city, please fill in this form here and EXPRESS YOUR INTEREST TO CREATE A OSHWA BRANCH. If you’re interested to join OuiShare Fest we have a special – limited number – 20% discount for OSHWA community that you can ask by getting in touch directly with me (mail to Simone at Ouishare dot net)! Finally! I’m able to followup after the First Open Source Hardware Documentation Jam! As many of you might know, at the end of April, I’ve been the facilitator of a Jam in New York city: it was the First Open Source Hardware Documentation Jam – OSHW Doc Jam (see http://www.opensourcewarehouse.org/ for details): the event has been sustained by many Sponsors and Supporters and OSHWA supported the event from the beginning. We held the event with the objective to start a fruitful discussion about how to share more documentation regarding Open Source Hardware projects. One of the Jam groups at work – thanks to Bilal Ghalib for this amazing picture. We had almost 40 people working along the three days to think about possible strategies and solutions, prototype (some times) and sharing them with the public in real time. Two parallel Jams in Berlin and Amsterdam were held and we are now opensourcing the format to share the lesson we learnt and allow others to use this format for this or other application fields. My mission as Int’l Branches Chair here at OSHWA is to help OSHWA grow internationally: I’ve also created this Facebook group called Open Source Hardware Community https://www.facebook.com/groups/194351110718598/ to trigger a contextual discussion on building a stronger OSHW community of users and creators worldwide so…please join! 3) Movement / Organization: mostly related to how to replicate the event in itself and create more handy, easy to replicate formats. Here Follows the methodology description in text. Please get back to us for any comment or feedback! a PR kit with Event short description, Press contacts, Website, Host description, Event description, images to use. All should fit into one page. The Production team: you should have a basic team of no less than three people if you’re aiming at an event of medium to big size (50-100 registered attendees). We used the Trello web application to keep track of the activities. Trello is a simple KanBan board. To get familiar with Agile methodologies and KanBan you can check wikipedia resources. You should keep it simple for people that wants to join the team and contribute with the smaller effort possible (communication, recruit, logistics, others). This shall be the more open possible. We basically included anyone seriously willing to contribute. Even from remote. Their contribution was decisive for the event success. How we included people? By providing them with access to the Trello board and by hosting alignment hangouts. Each of this contribution shall have an accountable person. The use of RACI Matrix is suggested. Our event spanned on three days, kicked off on Friday at 6 PM, closed on Sunday at 6 PM. Sessions move between the boards as they progress. A short Session Agenda planning: we planned almost half of the proposed session session for saturday morning, afternoon or even sunday. The team introduces the background of the event and the resources we created. The host team will greet the people and briefly re-state the theme of the gathering. All participants are invited identify issues or opportunities related to the theme and to their skills and ideas. Participants willing to raise a topic will take the mike/stand and talk about the issue: people is encouraged to feedback. At some point, the facilitator identifies the session, writes it on a sheet of paper and adds it to the proposals. The session leader shall be identified at that very moment to enhance the possibility the session is actually run. No limit exists on the number of items/sessions proposed. Session Leaders and interested folks gather around the proposal wall. As soon as a consistent interest is formed around a Session this session moves on Session Wall, picks a Table and moves on. We shall encourage that sessions are kept under 2hrs: then the documentation is shared. Follow-up sessions can be re-scheduled obviously. This process is reiterated continuously during the day, as long as a session closes people can join others in running sessions or propose/start other ones. Putting a Session in the proposals leaves people the possibility to express interest so that after few sessions the leader (or someone else) could decide to kick off. Session Leaders are asked to give a 5 minute report of all the sessions they coordinated during the morning. Session Leaders are asked to give a 5 minute report of all the sessions they coordinated during the day. Participants are left to wrap up for next steps, finalize documentation. A common drink outside the venue is encouraged to slow down and say bye. People can join or leave sessions at any moment. Sessions could be close or even cancelled at any moment. The session leader is responsible of the quality of the documentation. Even if the principles of OST asked for having documentation readily available in paper or visual format, ee opted for having only digital documentation. We setup a Google Folder and created a Session brief Template to be used at each session kickoff. We also kept an excel file with ongoing session information and links to the session folder. We used Eventbrite for ticketing, we priced the event at 10$ just to lower the no show rate respect a free to attend event. A slightly higher price may have helped with budget and lowering no shows rate. Food is very depending on your budget, style and everything. Our lesson learnt on food is that you tend to underestimate no show rate (we had a no show rate, decreasing from almost 30% on day 1, to almost 50/60% on day 3) and overestimate people appetite. Whatever are you planning to cater for, divide by a three at least. 35% Stakeholders of open source hardware community (OSHWA, OSE, others). We created separate tickets on eventbrite, asking people to pick one specific role and we made some relevant invites, especially from the open source hardware community and this helped having relevant insiders at the table. You can actually follow the same approach. This should be published on the event blog at least a couple of weeks before and an extended version shall be sent via direct mailing one week before the event starts. The subject should be broader/more loose: we had a bunch of good sessions but probably, a less focused epic would have helped to unleash more creativity and be more inclusive to non specialized attendees. 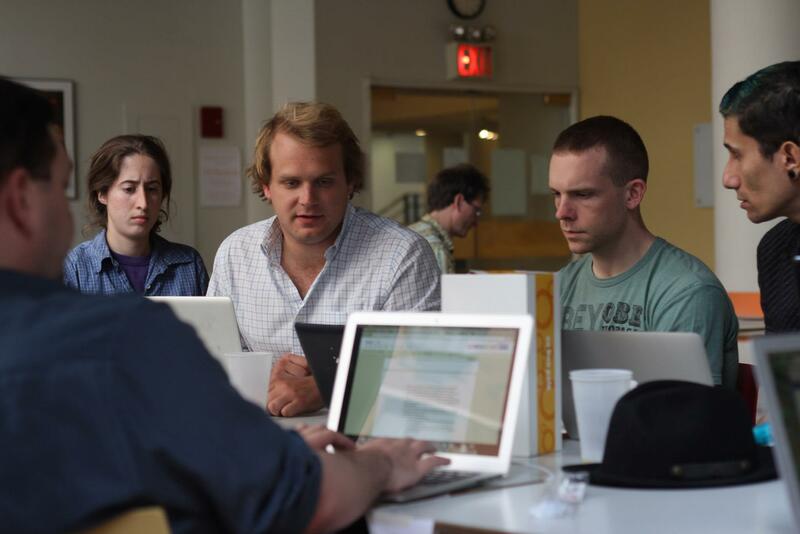 Open product development has the potential to transform the economic system by making widespread collaboration possible. If there are easy mechanisms for viewing and updating open product documentation, products can evolve rapidly under the hands of many contributors. However, several obstacles often stand in the way of contributions and improvements. Below is a list of problems and possible ways to approach them. There are no unifying standards or best practices for creating high quality documentation. Beyond the excellent work done by Phil Torrone, David Mellis and Nathan Seidle for open source electronics, there is no clear description of what should be included in OSHW documentation in order to facilitate the replication, modification and repair of all types of OSHW. The internet has many disconnected pieces of open source hardware documentation, but much of it suffers in quality or clarity. Clear guidelines for taxonomy and structure can help address this. We propose an initial set of standards and guidelines to be debated and refined. Documentation for OSHW projects is dispersed across many platforms, websites, wikis and blogs. As the number of projects grows it’s becoming increasingly difficult to find them. We propose a taxonomy to identify both hardware and documentation modules, which may lead to an online OSHW repository. No clear definition of scope exists. While open source electronics has become one of the most visible facets of open source hardware, there is much more. The scope of open source hardware, and its best practices, should include items such as medical devices, houses, cars, and washing machines. Lack of standard formats, clear organization, and technical jargon makes it difficult for the layperson to understand existing documentation. The goal of an improved documentation platform is to enable anyone, at all levels of expertise, to study, reproduce and improve open source hardware. Language is a barrier for the dissemination of open hardware plans. We propose that all textual descriptions be linked to Google Translate and that a Visual Language for OSHW be developed to describe fabrication procedures – see The Noun Project and IKEA’s assembly instructions as examples. There’s no simple way to remix and mashup hardware. We propose a modular approach to open source hardware documentation that would facilitate remix, mashup and branching. Derivative work is difficult to track. Taking into account that OSHW is developed mostly by iteration and derivation, the number of branches of any successful OSHW project is significantly higher than what is typical of OSS projects. Given the proliferation of derivatives and lack of clear information about each, it has become difficult for users and developers to identify and decide what branch of a project to replicate or derive from. We suggest that a dashboard be adopted by all open source hardware projects containing essential information about each version or derivative, such as: name, brief textual description, hi-res images, hardware and software version, attribution, open source label (indicates which parts of the hardware are open source), status brief (honest description of the state of the hardware, software and documentation), changelog, dependency (what other hardware is required to run/use the hardware), compatibility (what it’s compatible with), genealogy (information on the hardware’s origins, derivatives and replications), etc. In addition to this overview about the hardware itself, we also suggest that adoption of a build dashboard containing information on difficulty level, cost, as well as time, tools, space and skills required. Lack of appropriate software for designing, displaying and sharing plans makes collaborative development difficult. It’s difficult to update and evolve open source hardware designs due to documentation dependencies – one small alteration affects several other components of the documentation. Documentation is time-consuming. A clean, easily accessible platform would facilitate this. If the barriers to contribution are low and a universally-understandable format is developed, then combined micro-contributions of numerous developers can make the arduous task of proper documentation tractable. Unclear licensing and fear of infringement of intellectual property (IP) rights discourage people from producing documentation. Documenting involves reuse of content from other sources. If people do not understand IP licenses or have little understanding of their own IP rights to use content, they may be afraid to contribute documentation. A clear how-to on open hardware documentation IP Issues, as well as a legal support framework, can mitigate this.